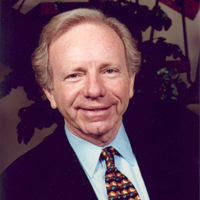 Political Spin Removal: Is Joe Lieberman Dangerous? Joe Lieberman asked that rhetorical question in a half-page op-ed piece in the WSJ. One of the perks of being a U.S. senator is apparently that you can command half a page of national newspaper even if you have nothing to say. 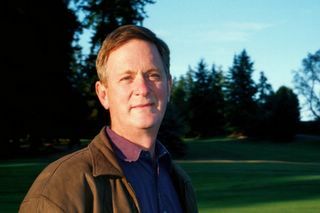 His plea is that members of congress should immediately stop all discussion about the war in Iraq. Why? Because he says so. His authoritarianism is becoming frightening. The reasons he gives for his suggestion don’t make any sense. Here I paraphrase his comments and respond. There is a new U.S. strategy in Iraq, providing security in Baghdad rather than training Iraqi forces or chasing insurgents. That is the White House party line, that we have a new strategy. But what has changed? Are we no longer training Iraqi forces? Are we no longer pursuing insurgents? There is no information to suggest those activities have ceased. What does it mean to “provide security” to a city of 5 million people with 2,500 troops? I don’t think anybody knows. Unfortunately, for many congressional opponents of the war, none of this seems to matter. They have already made up their minds and would put an end to the mission before we see if it works. Perhaps for many members of congress, there is no “this” to matter about. The new strategy is vague, the increased troop levels unconvincing, and having a new commander is irrelevant. None of that suggests why discussion should cease. Of course congress could cut off funds for the war. Yet this option is not being proposed. Critics of the war instead plan to cripple the current strategy with a thousand conditions, making congress assume the role of commander in chief. It is mere hyperbole to assert that war critics in congress intend to usurp the executive branch. Lieberman agrees that congress could righteously cut off funding for the war. It is equally legitimate to cut funding for an escalation. However, since the White House does not budget the escalation separately, that is not possible, so indirect measures to obstruct the escalation are recommended by some (such as Congressman Murtha). That seems a reasonable reaction of the legislature, in its constitutional role of providing a check against executive behavior that voters disapprove of. Many opponents of the war are making a best-case mistake, assuming we can pull back with impunity. Nobody has suggested impunity. Everyone realizes the consequences of an American pull back. It is a cost-benefit equation. Does continued draining of American blood and treasure serve America’s self-interest? No one has made the case that it does. A precipitous pullout would leave a security vacuum, probably resulting in large scale ethnic cleansing. If American left, even gradually, and a Rwanda-type genocide ensued, other governments with conscience could intervene, as they did in Rwanda. At least they would not be fighting “America’s war”. General Petraeus says he will be able to see whether progress is occurring by the end of the summer, so let us declare a truce in Washington politics until then. Congressional debate would perhaps be less fierce if members could understand what the strategy is, what its success would look like, and if “progress” could be defined (independently of militants temporarily going underground until November, 2008). Even then, there would still be nothing wrong with fierce debate. What’s wrong with debate? We are at the beginning of a key battle in a global struggle against the totalitarian ideology of radical Islamism. We should not abandon the cause of freedom. The battle against radical Islamism began long before September 11, 2001, and it did not begin in Iraq. Lieberman adopts classic White House misdirection to suggest that the war in Iraq is a consequence of a global battle against radical Islam and that it has something to do with the cause of freedom. This war is a direct consequence of our preemptive invasion of the country. Invoking the “cause of freedom” as a reason to stay in Iraq is jingoistic claptrap and if Senator Lieberman doesn’t know that, he is as dangerous as the president is. Stuffing “the cause of freedom” up the nose of a culture that prefers totalitarian theocracy is not a viable foreign policy or a legitimate rationale for war.